As Church, we follow the path of those gone before us. As Fraternity, we help each other along the way. It’s that time of year again. Lent is upon us. Put away the green vestments, get the ashes ready, and hide the chocolate, it’s time for some penance and conversion! That being said, I don’t think I have to tell you that it is also a time of great struggle, proving the adage “no pain, no gain” to be right. Fasting is the worst. Rearranging my schedule is inconvenient. Realizing that I’m not perfect, that there are times in which I am actually bad, is the last thing I want to spend time thinking about. Although I can look back and clearly see how much I have benefited from acts of penance and conversion throughout the years (from somewhat trivial things like not eating candy and refraining from “That’s what she said” jokes to praying more and developing a habit of using my resources for others) they were dreadfully painful at the beginning. Nobody likes change. It’s even harder when what’s bad for us is easy, comfortable, and feels so so good. So why do we so often do it alone? Why do we go down the path of conversion without a guide or partner every step of the way? When you ask the majority of people what they’re doing for Lent, you’re likely to get, “Oh, I’m going to pray more,” “I’m going to donate more to charity,” “I’m going to fast on Fridays.” I’m going to do something. For most people, including myself before entering religious life, Lent was a private devotion and a personal conversion. Others at times knew what I was doing, but it was ultimately my cross to bear, no one else’s. There are two things I want to say about this. The first is that, as Church, we need to support one another in our conversions. As Christians, we walk together, not alone, following the path of those who have gone before us and benefiting from two thousand years of faithful living. We don’t have to reinvent the wheel; the Church has shown what is spiritually life-giving. Prayer. Fasting. Almsgiving. But these things are not to be done solely in private devotion and personal conversion. No, penance and conversion are public and communal acts that build up the community through mutual support, and evangelize others to follow the path with us. 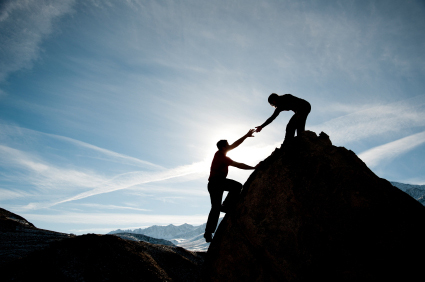 Think about how powerful of a witness it is to see someone vulnerable enough to share the ways in which s/he needs to be converted and asking the community for help, and how encouraging it must look to an outsider to see the whole community answer the call for one another. 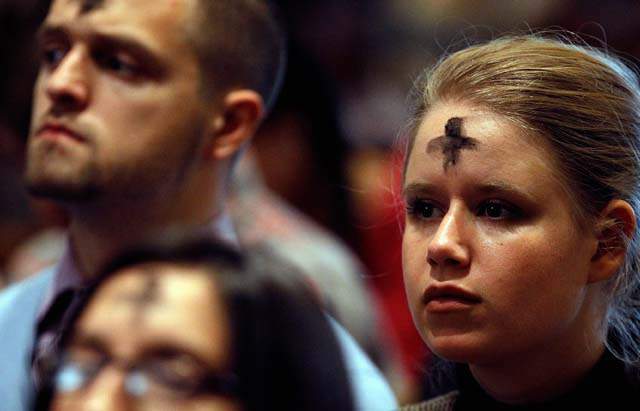 Putting ashes on our forehead is not a private devotion but a public sign of our need for conversion. And yet, being Church is more than simply joining an support group, as important as support may be. It is uniting in word and deed with other people of faith around a common mission. When this happens, when we truly become Church, we begin to adopt a communal identity, a “we” in belief and action. This is a tremendous step. When it happens, we no longer look simply at the ways in which “I” have sinned, but now in the ways that “we” have sinned. We begin to realize that the Church is in need of conversion and that we are all a part of that. What does this look like? Well, there are at least three levels to look at. The first and most important is the family, the principle building block of the Church. Coming together as a household, the family must look at its life together and determine the ways in which the culture of the house could better promote the coming our Lord. Maybe there is a weekly prayer night. Maybe money is saved by not going out to eat as much and donated to a charity. From there, one looks to the worshiping community. Is there something special the community can do together throughout the season, an additional prayer service or community service day? Lastly, one looks to the Church/society as a whole. Have we, directly or indirectly, supported injustice in our world? Maybe there is something we need to change in the way we treat certain people or issues, in the way we act and are perceived publicly. What about me, you ask? What I am doing that I need support from the community and how am I doing Lent together with others? Personally, I hope to do three things that will touch on a few of my biggest struggles. The first is to read scripture for 15-20 minutes each day, in additional to the thirty minutes of silent prayer I have [mostly] kept since Advent. The Word of God is always right there to be proclaimed and heard, but I don’t sit with it enough. The second is to give of myself more freely to the poor and to continue to grow in my comfort with and respect for those who are homeless. The third is my fast, but it doesn’t have anything to do with food. As I have mentioned before, taking myself off the dating scene has helped me to focus less on attractiveness when entering into a relationship, shaking off the natural tendency to see women as objects. This is by no means a completed process, however, and I want to take this time to be intentional about how seriously I take the vow of chastity. Communally, it is much more difficult to find specific things that apply to each member of the house, especially when there are twenty guys living together, but we also agreed on three things: 1) On Wednesdays and Fridays we will have soup and bread for dinner, no dessert, 2) At Evening Prayer on those days, we will read one station of the cross and reflect on it together, and 3) The house will match any donations we make out of our stipends for the CRS rice bowl. For me, these things are critically important to the life of the house. Sure, they may not cause the greatest conversion in any one of us, but there is just something so important about recognizing that we are in this together and making an effort to show it. We’re all busy people and we all have our own preferences when it comes to lifestyle, but it speaks volumes to me that we can do something with and for each other. In this way, I think religious life is a powerful witness to the rest of the Church and the rest of the world, that we are something greater than our individual identity, that there is something life-giving about giving up personal autonomy for the sake of the group. And in a way, isn’t that what Lent is all about? Giving up what we don’t need to build up the Kingdom of God. That sounds good to me. Would you like to do it together? OHP do an extra half hour of intercession during Lent and Advent. Most days, it’s corporate, but I’m always out on a Monday evening so end up having to do my prayer separately and earlier. It makes life very difficult. The other corporate discipline we have is that there is no proper dessert at dinner. It’s either fresh fruit or stewed fruit, depending on the day. Stewed fruit without custard is something I find very difficult, because to get it sweet enough for me to eat requires a very un-lenten amount of sugar. I often wish I could go without than have to eat even a small portion of something I struggle with, but it’s part of the communal discipline, so I make the effort.